How do we take an ordinary flyer or postcard and make it extraordinary? We start with top quality materials, continue with vivid, full color printing, and finish with an assortment of options and finishes. Let us help you create something extraordinary! Short Run Flyers Printed in Full Color on Thick 16pt Card Stock with Your Choice of UV, UV 1 Side, or Matte Finish in increments less then 1000. 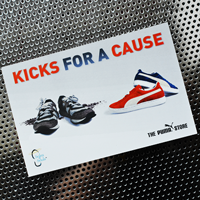 Flyers Printed in Full Color on Thick 16pt Card Stock with Your Choice of UV, UV 1 Side, or Matte Finish. Spot UV Flyers Printed in Full Color on Thick 16pt Card Stock with Spot UV Gloss on One or Two Sides. 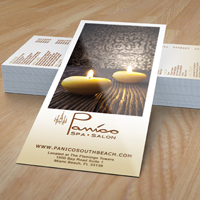 Full Color Foil Flyers Printed on Thick 16pt Card Stock with Your Choice of UV, Spot UV, or Matte Finish. 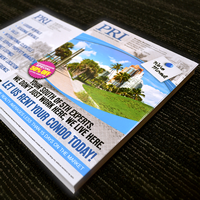 Flyers Printed in Full Color on 100lb Book Magazine Stock with Aqueous Semi-Gloss. Weatherproof Flyers Printed on a 10pt Card Stock, made of special materials that give these flyers a tear and water proof feature. 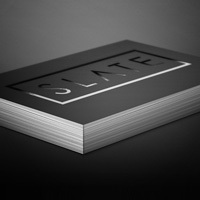 Short Run Postcards Printed in Increments less then 1000 on 16pt Card Stock with Choice of UV, UV 1 Side, or Matte Finish. 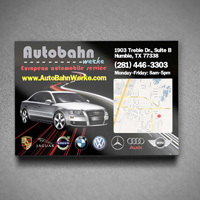 Postcards Printed in Full Color on Thick 16pt Card Stock with Your Choice of UV, UV 1 Side, or Matte Finish. 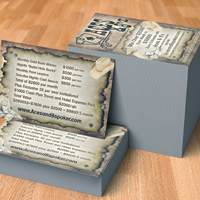 Spot UV Postcards Printed in Full Color on Thick 16pt Card Stock with Matte Finish and Spot UV on One or Two Sides. Linen Postcards Printed in Full Color on Textured 100lb Linen Stock. 14pt Natural Postcards Printed in Full Color on a Light Cream Color Card Stock that has a Natural White look and Smooth Finish. Postcards Printed in Full Color on 14pt Dull Matte Card Stock, These Uncoated Postcards are Perfect for Mailing. 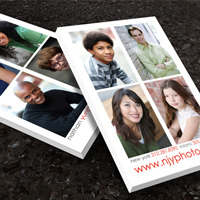 18pt C1S Card Stock Postcards Printed in Full Color with Your Choice of UV 1 Side or AQ 1 Side with a Dull Matte Back. Brown Kraft Postcards are Printed in Full Color on a Rich, Light Brown Kraft Stock with an 18pt Thickness! Luster Postcards Printed in Full Color on 16pt Card Stock, Laminated with a 3mil High Gloss Luster Laminate. Silk Postcards Printed in Full Color on 16pt card stock then laminated with a soft 1.5mil Silk Laminate. Silk Postcards with Spot UV Gloss Printed in Full Color with Silk Lamination and Spot UV Highlights. 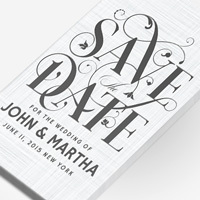 Foil Stamped Postcards Printed with a soft 1.5mil silk laminate with your choice of silver, copper, or gold foil stamping. Velvet Postcards Printed in Full Color on 16pt card stock with a Soft 1.5mil Velvet Lamination. Raised Spot UV Lamination Available on One or Two Sides Ontop of Our Thick 16pt Card Stock with Soft Velvet Laminated Finish. 32pt Core Postcards Printed in Full Color on Massive 32pt Colored Core Card Stock. 3D Lenticular Postcards Printed with New Effects like Morph, Zoom, Full Animated, and True 3D Effect.